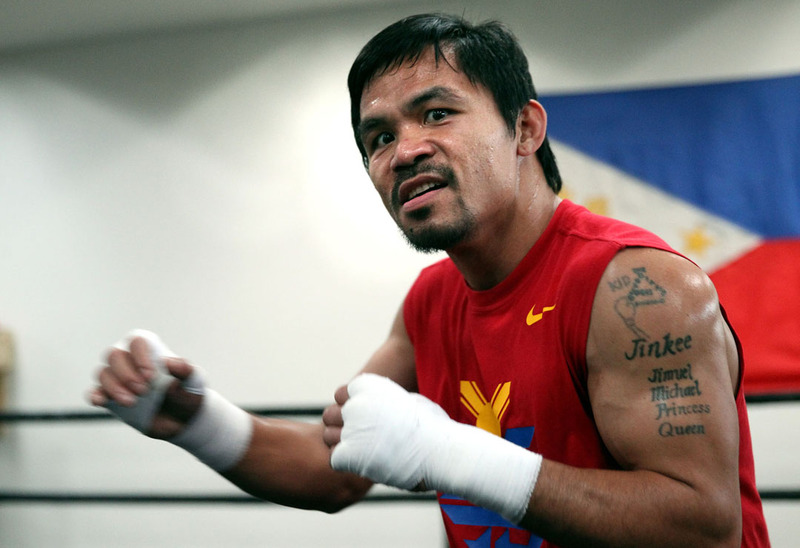 Ring News 24Boxing News Breaking Boxing NewsCan Manny Pacquiao get back into the title picture in 2018? Can Manny Pacquiao get back into the title picture in 2018? There is an old saying that says “Out with the old and in with the new” but that phrase doesn’t always go over well in the boxing world. For as unpredictable as the sport of boxing can be, there are still some things we can always count on. And for as long as the sport has been around, we have always seen the legends of the sport stick around for as long as they can. Whether it’s the pride, the money, or the accolades, champions in boxing tend to stick around and such is also the case with former eight-division world champion Manny Pacquiao from the Philippines. Pacquiao (59-7-2, 38 KO’s) last fought on July 2 of 2017 and things didn’t go as planned. He lost his WBO welterweight title to heavy underdog Jeff Horn in the latter’s native Australia. In a bloody brawl, Pacquiao appeared to do enough to secure the victory to many, but scorecards reading 117-111 and 115-113 twice surprisingly went to Horn. That leaves Pacquiao, having recently turned 39 years old, in an awkward position. While there is no doubt that he is still a star attraction, Pacquiao has certainly lost a few steps over the past few years. He has went 5-4 in his past nine fights and after seeing a possible rematch with Horn fall through for late 2017, it’s uncertain what his future holds. Top Rank promoter Bob Arum, who has guided Pacquiao’s career for several years, is still very much interested in moving forward with Manny’s career. Horn is likely set to face off with former unified junior welterweight champion Terence Crawford on April 21 in Las Vegas and Pacquiao very well could stand as a possible foe for the winner of that match. But, how would Pacquiao fair against the winner of that bout. It’s very reasonable to think that Pacquiao could gear himself up for a rematch with Horn and come away with the victory, given that he was very competitive the fight time around. But a showdown with Crawford would be a completely different scenario. Crawford has anointed himself as one of the sport’s top two or three fighters in the world and he is still in his physical prime. Crawford’s physical gifts, his ability to box from both sides, his underrated power, and ring guile might just be a little bit too much for Pacquiao at this point. Just five years ago, Pacquiao himself was looked at as one of the top two fighters in the world, along with Floyd Mayweather. But those days are definitely past him. In losses to Mayweather, Tim Bradley, Juan Manuel Marquez, , and Horn, Pacquiao has definitely lost some luster along the way but still proves to be a dangerous fighter. Perhaps a showdown with former top contender Mike Alvarado, who is again on a winning streak, could help Pacquiao shake off some rust and position himself for a big fight later in the year. Either way we look at it, the end of Pacquiao’s legendary career is upon us.